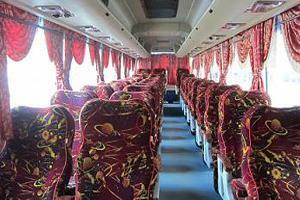 S&S International Express is a famous express bus company in Malaysia. S&S International Express is provides daily trips to Mersing from major cities in Johor Bahru, Malacca and Kuala Lumpur through BusOnlineTicket.com. Return trips from Mersing to major cities Johor Bahru, Malacca and Kuala Lumpur are available for booking in BusOnlineTicket.com as well. Mersing is a gateway to access the famous Tioman Island in the East Coast of Malaysia. 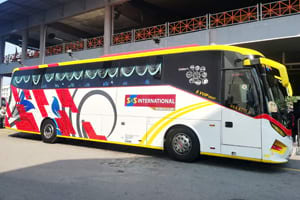 Johor Bahru to Mersing and Mersing to Johor Bahru coach services also provides convenience for Singaporean passengers who wishes to travel from Singapore to Mersing and Mersing to Singapore — as Johor Bahru’s Larkin bus terminal is easily connected by Singapore SBS bus service 170.